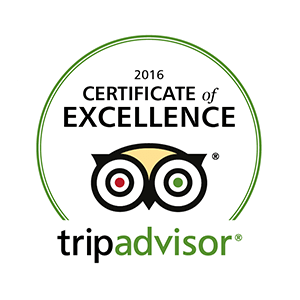 The health and wellness of honeybees has become a hot topic in today’s global community. Bees are important pollinators of our world’s flora, including some plants whose sole pollinator is the bee. Sadly, bee populations are decreasing and will continue to do so, but why are they dropping? Bee populations are declining for many reasons including habitat loss, disease and parasites amongst other reasons. Hives around the world have felt the hit, including the hive here at WonderLab. This past November the WonderLab bee hive collapsed because the colony was facing a battery of adversities. The first hit the colony took was in early September when we noticed a mild infestation of varroa mites. 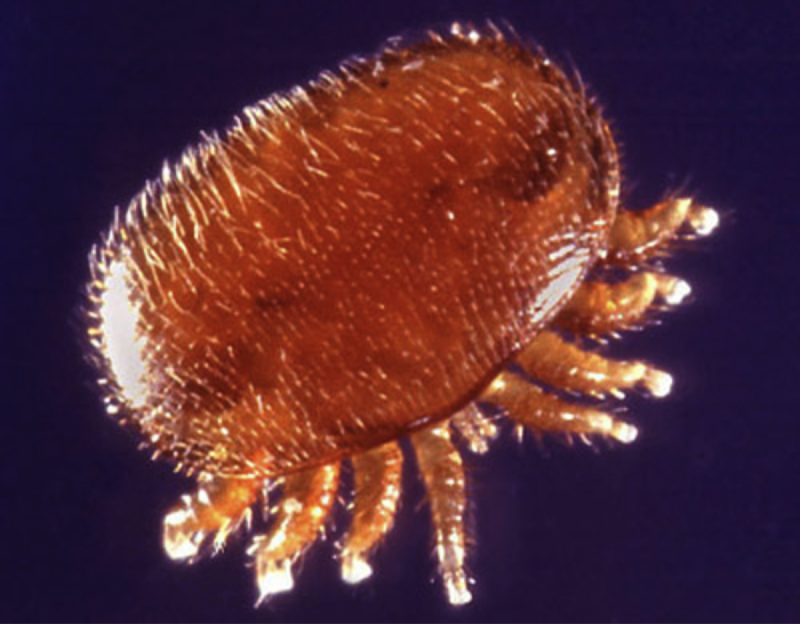 Varroa mites are arachnids similar to ticks, picked up by workers as they are foraging (See Image I). After talking with other local bee keepers I found out that these mites have been increasing in infestations around Indiana in the last 6 years and is wiping out more and more local hives. The adult females bite into the abdomen of bees and lives off the hemolymph (this is equivalent to blood in humans)(See Image II). This feeding phase is known as phoresy. When she is ready, she will find bee larvae that are ready to be capped in the brood combs. The female will crawl into the brood combs and submerse herself in the brood food where she waits for the larvae to eat all the food. To breath, the mite will extend peretrimes which are tubes that allow her to breath. When the larvae finish eating the mite will attach onto the larvae and start feasting. The mite will lay 1 unfertilized male egg. Every 25-30 hours thereafter she will lay fertilized female eggs. Six to seven days after hatching the mite is consider an adult. Still in the honeycomb, the now adult mites will mate. Once they break out, the cycle begins again. Image I: This is a photo from the bee hive at WonderLab By Autumn Brunelle. 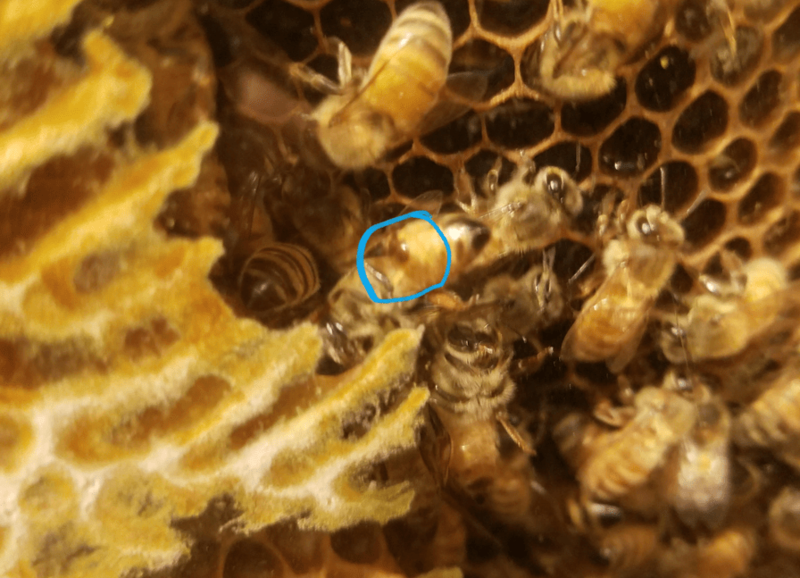 The blue circle is highlighting a bee that has a varroa mite attached to its abdomen. The treatment we decided to pursue is called thymol, In a gaseous form it is denser than air and so sink through air. We put a source of it at the top of our hive and so it would fall through the hive. This vapor would kill off the mites but not the bees. The treatment that we began here at WonderLab involved a porous material, such as cotton, being soaked in thymol and placed at the top of the hive. The thymol vapor is heavier than air and so sinks down through the hive killing the mites. They were supposed to have had 1 treatment weekly for 3 weeks, however, we decided to discontinue treatment after the first one as we started experiencing a population crash towards the end of the first week. With Varroa mites being a growing issue recently, many scientists are trying to develop new ways to combat these issues. One method scientists have found is to breed bees by selecting for what is called varroa sensitive hygienic (VSH) behavior. What this means is, is that people breeding bees watch their bees for this special behavior and then only breed the bees that exhibit what they are looking for. But what does varroa sensitive hygienic behavior look like? These bees will inspect their brood as they are going through and capping off the larvae. If they detect varroa mites, they will abort the larvae that is infested so as to stop the spread. In some tests, hives that were bred for this behavior showed 44% less varroa infestations than did non VSH counterparts VSH vs non VSH comparison experiment! WonderLab will in fact be introducing one of these VSH queens spring of 2018 in the hopes that we too can help control the local varroa mite infestation and help the overall health of our local bee populations in Bloomington!